Ideal for serving one beer at a time! Rental includes CO2, regulator, all necessary hoses/fittings, and step by step setup instructions. Beautiful covers available at additional cost, learn more. Thank you! We’ll be in touch shortly to confirm your order. The same mechanics as our standard double faucet jockey box but tucked inside a black stainless steel belted cooler. Impress your guests with this sleek looking jockey box. All you provide is kegs and ice. Thank you! We’ll be in contact shortly to confirm your order. Perfect for serving two beers at the same time! Rental includes CO2, dual product regulator, all necessary hoses/fittings, and step by step setup instructions. Beautiful covers available, learn more. Thank you! We’ll be in contact shortly to confirm your request. 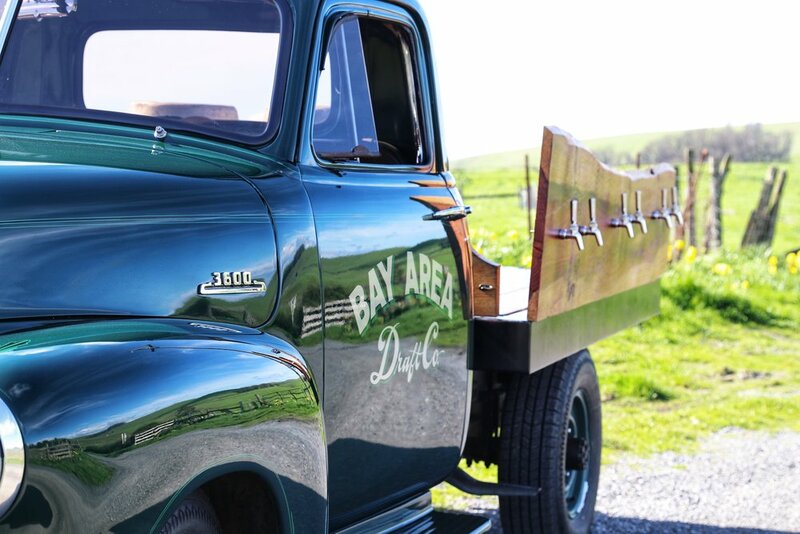 The same mechanics as our standard double faucet jockey box but tucked inside a stainless steel green jockey box. Impress your guests with this sleek looking jockey box. All you provide is kegs and ice. The same mechanics as our standard double faucet jockey box but tucked inside a shiny stainless steel belted cooler. Impress your guests with this sleek looking jockey box. Includes CO2, regulator, and hoses. The same mechanics as our standard double faucet jockey box but tucked inside a stainless steel teal jockey box. Impress your guests with this sleek looking jockey box. All you provide is kegs and ice. The same mechanics as our standard double faucet jockey box but tucked inside a Yeti cooler. 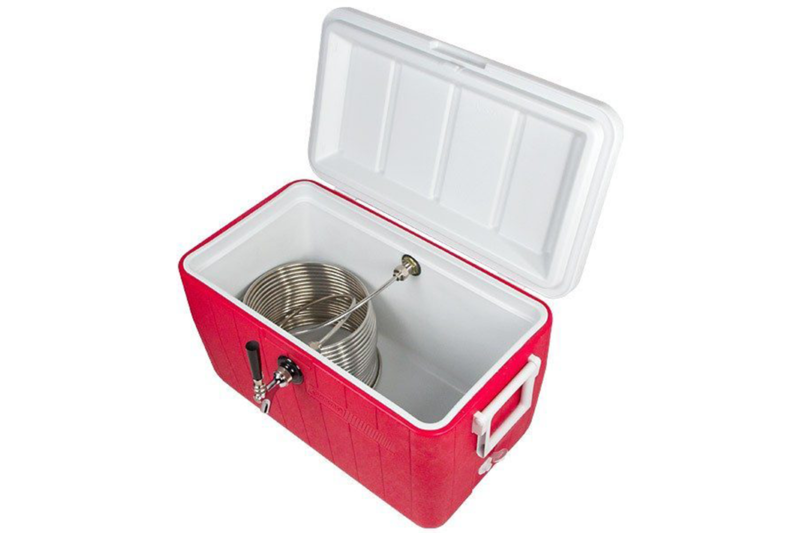 Impress your guests with the appeal of this Yeti box with amazing ice retention performance. Available in white, blue, tan, and charcoal. The same mechanics as our standard jockey boxes but tucked inside a massive Yeti cooler. Impress your guests with the appeal of this Yeti box with amazing ice retention performance and durability. Available in white. The same mechanics as our standard jockey boxes but tucked inside a beautifully rugged Pelican cooler. Impress your guests with the appeal of this 100% American-made box. Available in tan, white, and dark green. 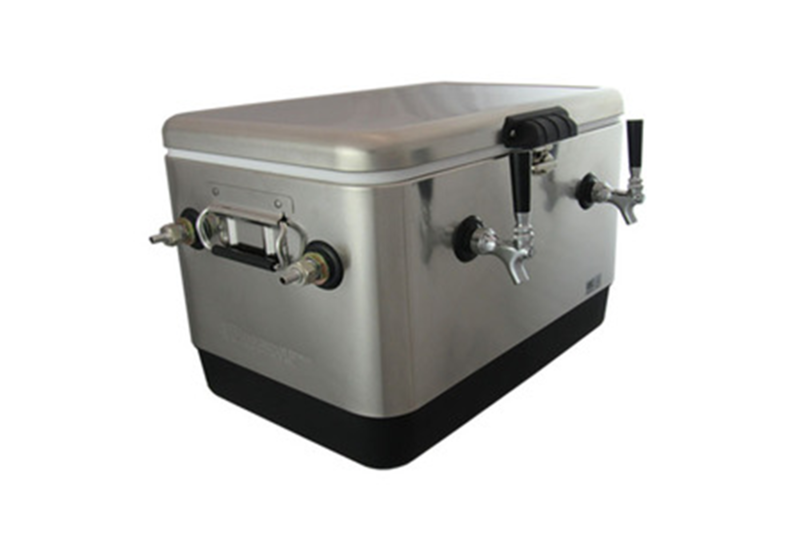 Standout with a draft structure built exclusively to serve kegs of beer, wine, cider, soda, or any other liquid in a keg. Don't be fooled by copycat bars ... our structures are all retrofit with jockey boxes meaning ice cold, foam free beer, all day/night long. 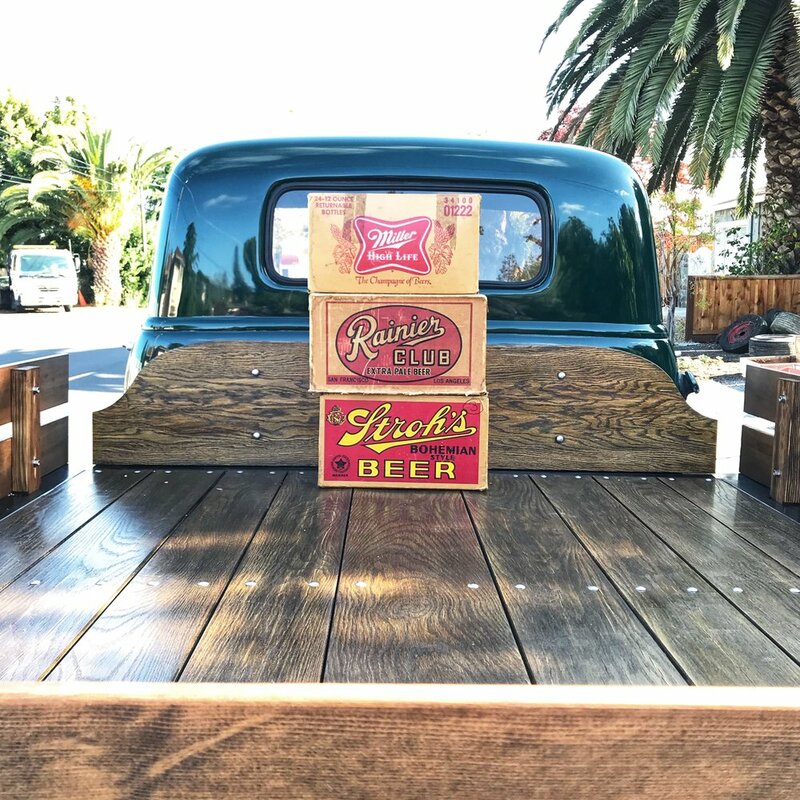 Part beautiful prop, part badass draft beer truck. 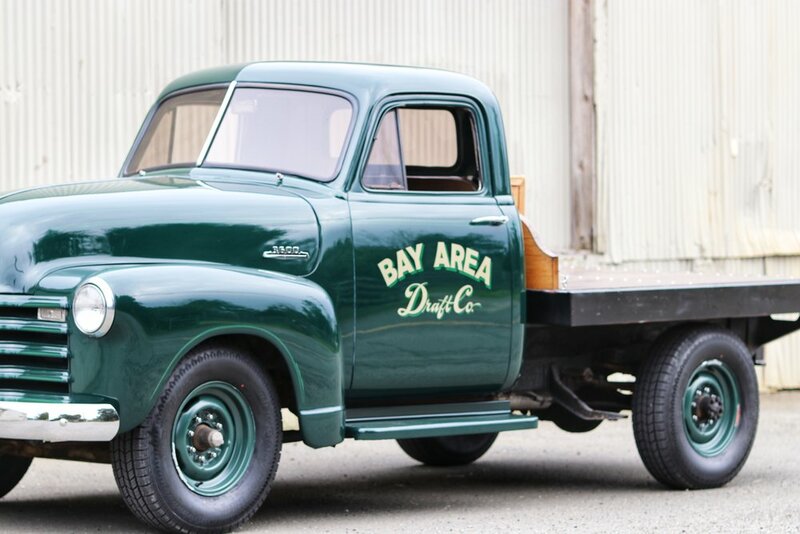 Mean Joe Green is a 1953 Chevy flatbed truck turned draft beer truck. 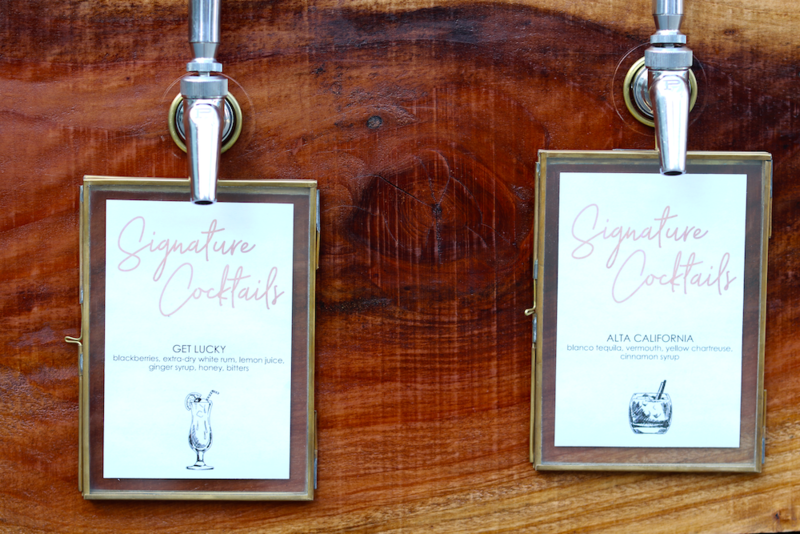 Perfect for weddings, corporate events, festivals and other social gatherings. Mean Joe Green will surely create a once-in-a-lifetime experience for your guests at your next event. Have questions about any of our rental pieces or services we offer? Need to chat through event details and logistics? Just want to chat beer? Give us a ring, an email, or a form submission and we'll respond within a few hours! Thank you! We’ll be in contact shortly!